I have attached a screenshot of the Path Finder window ever since installing the MacOS Mojave Beta release. 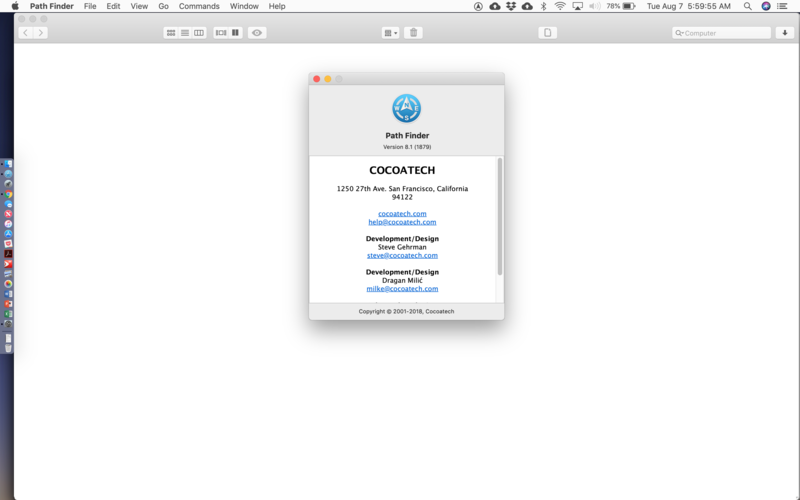 Both Path Finder (8.1) and Mojave 10.14 (18A353d) are updated to the latest releases, yet the result is the same. No text, no directories, nothing...only a blank screen. Please advise. Path Finder Support Team closed this discussion on 07 Aug, 2018 02:24 PM. That did the trick! Everything seems to be running fine now. Many thanks! Path Finder Support Team closed this discussion on 07 Aug, 2018 08:42 PM.